Do you Have to Give the Engagement Ring back in Florida? One of the most common questions when a couple breaks up is who gets to keep the engagement ring? Does the recipient have to give it back to the giver? What about if the break up occurs after they are already married? Much like other jurisdictions, Florida considers engagement rings to be a conditional gift. That means the ring is essentially given with the promise of marriage. In the event the marriage doesn’t take place, the conditions are not met which would mean the giver is entitled to get the engagement ring back from the recipient in most cases. Who Broke off the Engagement? Florida courts often look at which party broke the promise, and who is the cause of the marriage not going forward. This may affect a court’s decision on who keeps the engagement ring. If the recipient of the ring breaks off the engagement, some courts say it should go back to the other person, as it’s a conditional gift and the conditions were not met. If the giver (or donor) is the one who breaks off the engagement, some courts will let the other party keep the ring as they are not the one who broke the promise to marry. When a marriage ends, it’s typically a very stressful and emotional time. Trying to sort out marital assets and figure out financial accounts is one of the most challenging tasks for all involved parties, including the attorneys and courts. Many assets are more easily divided, but an engagement ring has sentimental value attached to it, especially if it was a family heirloom. And, if the marriage was short lived, the ring may be the most valuable asset the couple has. As the ring was given prior to the marriage, the courts typically agree that it remains with the recipient at the time of divorce. Since it was a premarital gift, the value doesn’t get added to the couple’s marital assets total. If the ring is a special family heirloom, it would be wise to include something about it in a premarital agreement. This will ensure the ring’s return in the event the marriage is terminated, and it’s not left to chance in hopes a court awards it to you in an asset distribution. There are specific scenarios where a court may decide the ring was an unconditional gift. 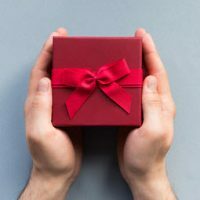 If the recipient can prove the ring was given as a gift in conjunction with a particular holiday or a birthday, it may be deemed a birthday gift, Christmas gift, Valentine’s Day gift, etc. In Florida, special occasion gifts are not seen as conditional gifts and therefore wouldn’t necessarily need to be returned. The attorneys at Schwartz | White are Boca Raton based family law attorneys who have experience in both premarital agreements and divorce settlements. We can assist you with everything from preparing a prenup to representing you in a complex divorce. Contact our office at 561-391-9943 to schedule a consultation and let our skilled attorneys handle all your family law needs.